This 6th Sunday of Ordinary Time, the Gospel calls us to contemplate the promises Jesus makes to all those who follow him. At first, they don’t seem very attractive. Jesus lists a whole series of things that most people would probably avoid. They would see them as interfering with their wants and desires, Yet, Jesus says that we will be blessed if we have them in our lives. The word in the original Greek is Makarios, which means “happy.” This doesn’t make sense. I am supposed to be happy when I am poor, mourning, meek, lacking righteousness, merciful, clean-hearted, a peacemaker, persecuted and insulted? That’s not what I see on TV, in the movies, on the Internet. It’s not what many of the people I know would recommend. So what is Jesus’ big idea telling me this? Is he out to make me miserable? Pope Francis’ Gaudete et Exsultate (Rejoice and Be Glad) is rich in reflections, such as one on the Beatitudes. 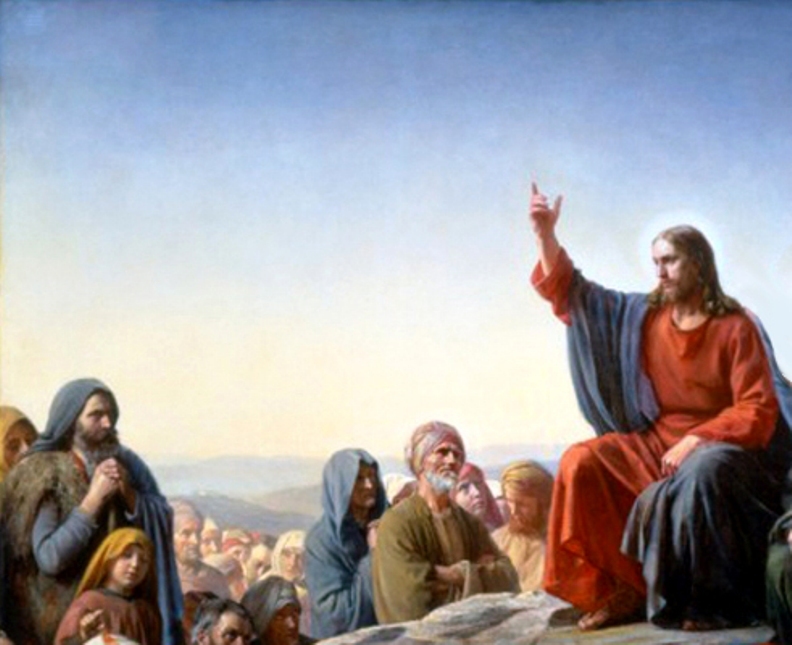 The Pope’s commentary on the Beatitudes could serve as a kind of examination of conscience. How are we living out these Beatitudes, and where do we need to grow? For example, Pope Francis asks us to reflect on the beatitude, “Blessed are the poor in spirit, for theirs is the kingdom of heaven” (Gaudete et Exsultate 67–70). Too often, he says, we think of our security as to be found in wealth, but wealth is ultimately nothing (68). Pope Francis makes clear that he has in mind a material simplicity, an invitation to a “plain and austere life” (70). Do we see the connection between poverty in spirit and genuine indifference to wealth? A second beatitude, “Blessed are the meek, for they will inherit the earth,” reminds us not to have an air of superiority over others, but rather to look to others’ weaknesses with “tenderness and meekness” (72). We can and should correct the faults of others, but with love and a constant sense of our own limitedness and capacity to be tempted to the same kinds of things as those whom we might judge. Do we trust meekness and humility to guide me in a kinder approach? In considering, “Blessed are those who mourn, for they will be comforted,” Pope Francis encourages us not to run away from the pain and sorrow of others, but to bring relief instead of reacting out of fear. We can mourn with those who mourn so that they are not alone in their sorrow (76). Where do I stay with those in their suffering? Where do we sometimes flee out of fear or a sense of powerlessness? To “hunger and thirst for righteousness” does not suggest that meekness requires we be silent or complicit in the face of injustice. Quite to the contrary, the Pope asks us to consider whether we are undertaking the “pursuit of justice for the poor and the weak” (79). Do we hunger and thirst for righteousness, even if this makes us uncomfortable or involves social or material risks? Reflecting on these beatitudes can help us see where God’s grace has been active in and through our own lives, and where we still need God’s grace to lead a life of greater holiness. Pope Francis reflects on the Beatitudes as a guide for how we can increase in holiness. The Pope talks about two aspects of mercy to consider in the beatitude: “Blessed are the merciful, for they will receive mercy.” These are serving others and being willing to engage in “forgiveness and understanding” (Gaudete et Exsultate 80). God loves and gives with abundance, forgiving us and caring for us beyond measure. We are also asked to be forgiving and understanding, keeping in mind that we are ourselves forgiven and understood. Where have we received God’s mercy and forgiveness? Pope Francis speaks of “purity of heart” in terms of not only avoiding deceit, but also sincerely loving God and neighbor. Love helps us to see God. I can reflect on times when an experience of love helped me to see the face of God in another person, or when really loving my neighbor also helped me to see and to experience God’s love through access to my own capacity to love. Purity of heart is “keeping a heart free of all that tarnishes love” (86). Where has love helped us see God in the people around me? Next, Francis considers, “Blessed are the peacemakers, for they will be called children of God,” reminding us that peacemaking can mean more than working for global peace or opposing war. Peace also has to begin with actively building friendships in our communities. Concretely, this means staying in relationship even with “those who are a bit odd, troublesome or difficult, demanding, different, beaten down by life or simply uninterested. It is hard work” (89). Rather than idealizing peace or making many conditions about who deserves it, we can actively cultivate peace even when it messy and not easy to move forward. Where do we build peace? Last, Pope Francis reflects on the beatitude, “Blessed are those who are persecuted for righteousness’ sake, for theirs is the kingdom of heaven.” We are asked to challenge society and even to be a “nuisance” in struggling for justice (90). To work for justice involves “weariness and pain,” (92) but suffering for the sake of the Gospel is part of Christian holiness. We are encouraged to speak up in the face of injustice, even when it means persecution. Are we willing to stand up for matters of justice, such as working against extra judicial killings, expolitation and poverty, and do we accept that there is a possible price for doing so?